We start the tour at the stunning touristic Lys. You can enjoy the serenity of the water. With only the chirp of birds on the water you can behold the beauty of some pure and unspoiled pieces of nature. You can also witness some very attractive villa’s on the side of the river. Villa’s with their magnificent gardens and their very own architecture. After the acquaintance with the tourist Lys, we hit the speed zone for a sensational experience. 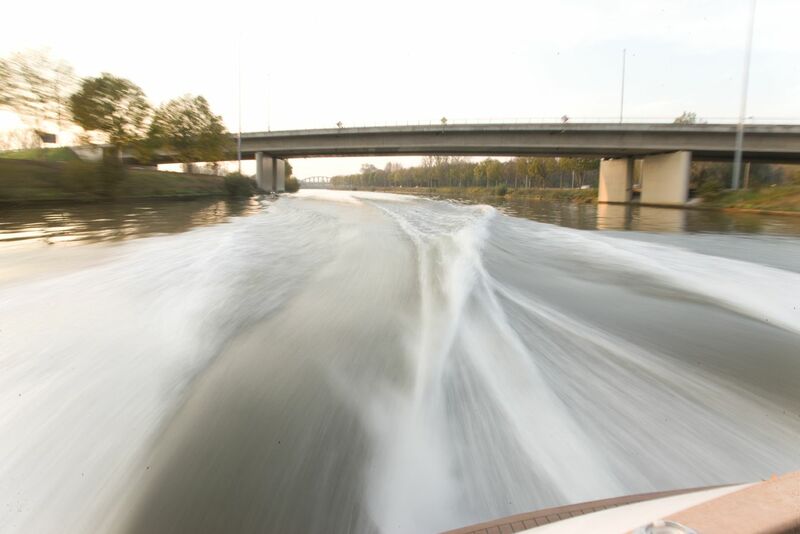 In this area we can fully experience where speed stands for in speedboat. We can push on the velocity: a sensation you’ll always remember! After this adrenaline kick, we enter the centre town of Ghent. You will see another Ghent: some forgotten places, unknown rear sides of buildings, and even here some lovely and charming pieces of nature where you can forget everything… You can even enjoy some great monuments: the old fish market, the ‘Gravensteen’ castle, the Flemish opera, the old court of justice, various cathedrals… The ever present tourists along the quay, the pubs and restaurants, the strolling shoppers… they all make you feel in a holiday mood! Thanks to our handy speedboat we can maneuver until the heart of the city, under the smallest bridges and into the nearest cannels. You will encounter something you have never seen before and that you’ll never forget! After the trip you can enjoy a delightful dinner at the restaurant where you left your car.